Christmas at The Riverside Inn, Ashford. Yes it’s nearly that time again, Christmas is fast approaching. Have you thought about how you are going to celebrate the Festive Season with your friends, family and co-workers? 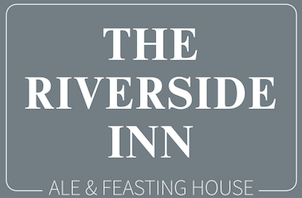 The Riverside Inn provides the perfect venue for work parties, a family get together or even a catch up with friends. Ideal for your office Christmas party and the perfect office party venue to treat your staff. The team of experienced chefs have put together a fantastically festive menu that will make your mouth water. Our carefully selected Christmas menu combines a generous mix of delicious seasonal produce, traditional winter favourites and a fresh take on the celebratory season. It’s never too early to get your Christmas celebration booked. The Riverside Inn caters for intimate parties or large groups so get in touch with Jon, Teresa and the team and confirm your festive booking. 1. Download and print out our menu and booking form. 2. Return our booking form with your deposit. In person or by post, or relay your booking info and card details over the phone to our friendly staff. Open our 2018 Christmas menu and booking form.